Tenants living in council properties in Doncaster are expected to see their rents fall again. Cabinet members on Doncaster Council are expected to formally finalise a one per cent reduction to around 20,000 residents who live in social housing. In a report setting out the Housing Revenue Account, rents will be reduced from April 1, 2019 in line with Government policy. The Government set out in its Summer Budget a continued reduction of one per cent on social housing rents per year from April 2016 until March 2020. This results in a weekly decrease of 70 pence on the average rent of around £69.40 per week. Over the four year period 2016/17 to 2019/20 the council is expected to have missed out by £25.9m. The council are introducing small rises in fees for garages and district heating services at Balby Bridge, Milton Court and Ennerdale. A ‘prudent level’ of balances for the HRA is considered to be £4 million. Any surplus funds in excess of £2.212m, has been transferred to fund investment in the housing stock and the programme for building more council houses. Julie Crook, Director of Corporate Services, St Leger Homes, said: “The council provides housing to over 20,000 residents through the housing stock within the HRA. 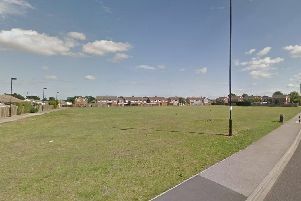 “The majority of these properties are let at social rents which are currently the lowest within South Yorkshire and they will continue to be after this decrease. “The proposals within this report mean that the existing tenants of these properties will pay lower rents in 2019/20.